Kristin Denton Flanagan is a managing researcher at AIR. 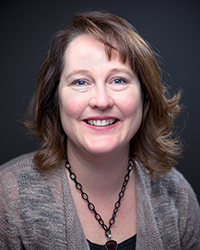 Dr. Flanagan’s areas of expertise include early childhood development, education, and assessment, with an emphasis on research methods; survey development; assessment development; data collection design, protocols, and implementation; and analyses and reporting. Since 1998, Dr. Flanagan has served as principal investigator and project manager on the NCES Longitudinal Studies expert research support project. The studies she supports for NCES focus on early childhood and youth development, including: the Early Childhood Longitudinal Studies (ECLS); the Middle Grades Longitudinal Study (MGLS), and the High School Longitudinal Study (HSLS). Dr. Flanagan also provides expert early childhood research support to the National Center for Education Statistic (NCES) on several international early childhood care and education studies, providing input into the conceptualization of a study of early care and education providers, the Starting Strong Survey (S3), and a study of early childhood learning, the International Early Learning Study (IELS). In addition to her work for large-scale studies sponsored by the U.S. Department of Education, Dr. Flanagan contributes as principal investigator or senior technical advisor on state- and local-level research studies on participation in early care and education. Dr. Flanagan’s interests include research methods with a particular focus on their execution in studies of early childhood development and education.